For the second screen of the triple screen trading system, Dr. Alexander Elder recommends the use of sophisticated and modern oscillators like force index and Elder-Ray. However, traders should not feel limited to either of these two oscillators - your favorite oscillator will probably work equally well, so you should substitute the oscillator with which you feel most comfortable. Two other oscillators that can easily be employed as the second screen are the stochastic and Williams %R oscillators. Stochastic is currently one of the more popular oscillators and is included in many widely available software programs used both by individual traders and professionals. In particular, traders who employ strict computerized systems to execute their trades find that stochastic oscillators have many good qualities. For example, stochastic has an excellent track record in weeding out bad signals. More specifically, stochastic uses several steps for the express purpose of filtering out market noise, the type of ultra short-term movements that do not relate to the trader's current trend of interest. Similarly to Elder-Ray, stochastic identifies the precise moment at which bulls or bears are becoming stronger or weaker. Obviously, traders are best off jumping aboard the strongest train and trading with the winners while pitting themselves directly against the losers. The three types of signals important to traders using stochastic are divergences, the level of the stochastic lines and the direction of the stochastic lines. To further detail, see What is the difference between fast and slow stochastics in technical analysis? A bullish divergence occurs when prices hit a new low but stochastic traces a higher bottom than it did in the previous decline. This means the bears are losing their grip on the market and simple inertia is driving prices lower. A very strong buy signal is issued as soon as stochastic turns up from its second bottom. Traders are well advised to enter into a long position and place a protective stop below the latest low in the market. The strongest buy signals appear when the stochastic line's first bottom is placed below the lower reference line and the second bottom above it. Conversely, a bearish divergence corresponds to the circumstance in which prices rally to a new high but stochastic reaches a lower top than anytime during its previous rally. Bulls are then becoming weaker and prices are rising sluggishly. The crucial sell signal is issued when stochastic turns down from its second top. Traders should enter a short position and place a protective stop above the latest price high. The best signals to sell short occur when the first top is above the upper reference line and the second is below it, the opposite of the best signals to go long. The level attained by the stochastic lines represents distinct overbought or oversold conditions. When stochastic rallies above the upper reference line, the market is said to be overbought and is ready to turn downwards. By contrast, the oversold condition, in which the market is ready to turn up, is represented by the stochastic falling below its lower reference line. Traders should, however, be careful in interpreting overbought and oversold conditions using stochastic: during a longer-term trend, stochastic may issue contrary signals. In strong uptrends - as may be indicated by the trader's first market screen - the moving average convergence divergence (MACD) histogram, stochastic becomes overbought and issues erroneous sell signals while the market rallies. In downtrends, stochastic quickly becomes oversold and gives buy signals earlier than warranted. Although interpreting overbought and oversold conditions with stochastics can be problematic, when using the MACD histogram as the first screen of the triple screen trading system, traders can easily eliminate these incorrect signals. Traders should take buy signals from the daily stochastic only when the weekly MACD histogram shows an upward trend. When the trend is down, only sell signals from the daily stochastic should be heeded. Using your weekly chart to identify an uptrend, wait for daily stochastic lines to cross below their lower reference line before buying. Immediately place your buy order above the high of the latest price bar. 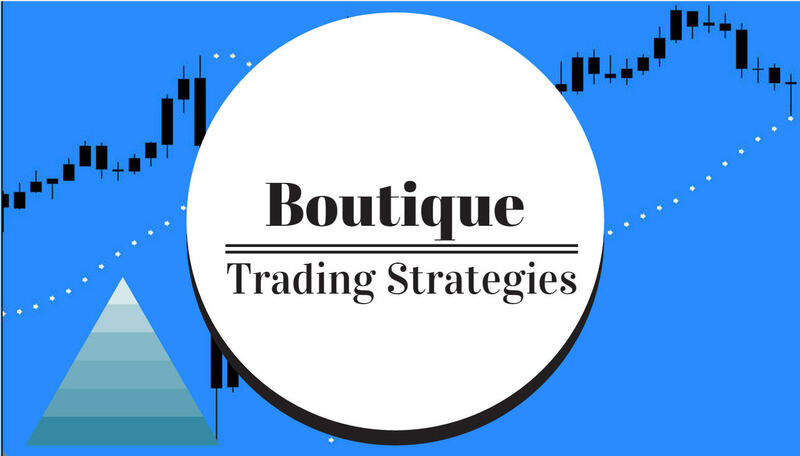 You can then protect your position with a protective stop placed below the low of the trade day or the low of the previous day, whichever is lower. To add a further level of detail to this analysis, how the shape of stochastic's bottom can indicate the relative strength of the rally should be discussed. If the bottom is narrow and shallow, the bears are weak and the rally is likely to be strong. If the bottom is deep and wide, the bears are strong and the rally could very well be weak. When you identify a downtrend on your weekly chart, do not enter your trade until daily stochastic lines rally above their upper reference line. You can then immediately place an order to sell short below the low of the latest price bar. Do not, however, wait for a crossover on the stochastic lines as the market will then already likely be in a free fall. To protect your short position, place a protective stop above the high of that particular trading day or the previous day, whichever is higher. The shape of stochastic's top can also indicate the relative steepness or sluggishness of the market's decline. A narrow top in the stochastic line shows the weakness of bulls and the likelihood of a severe decline. A high and wide stochastic top demonstrates the strength of bulls, and short positions should consequently be avoided. In summary, the means by which traders can filter out most bad trades involves an intimate knowledge of overbought and oversold conditions. When stochastic is overbought, do not buy. When stochastic is oversold, do not sell short. Quite simply, when both of the stochastic lines are moving in the same direction, the short-term trend is confirmed. When prices rise along with both stochastic lines, the uptrend is most likely to continue. When prices slide along while both stochastic lines are falling, the short-term downtrend will likely continue.